Ontroerend Goed, The Border Project, Drum Theatre Plymouth, Richard Jordan Productions and Vooruit in association with Adelaide Festival. Upon entering the theatre each audience member is provided with an electronic voting device. As the show begins, the presenter asks some simple questions to get everyone used to using their keypads. What could easily have been played with rowdy melodrama a la modern television, was instead delivered calmly and clearly, a fact which eases the audience into their own role in this piece of alternative theatre. Indeed, all of the performers were strong in their understated delivery of the roles. As the candidates come out dressed in black gowns as though entering a boxing ring, the audience is asked to cast their initial vote before any of them have even spoken a word. Essentially, all are asked to make a snap judgement based on what somebody looks like. Results are displayed on screens above the stage; sadly there was no real surprise when the youngest, most attractive female won the initial vote. The discerning audience member realises very quickly that this is a show in which they are being toyed with. I spent much of the time second guessing myself, wondering what I was basing my judgements on as they continued to speak political non-speak, or attempted to make themselves seem more appealing by undermining the other candidates. 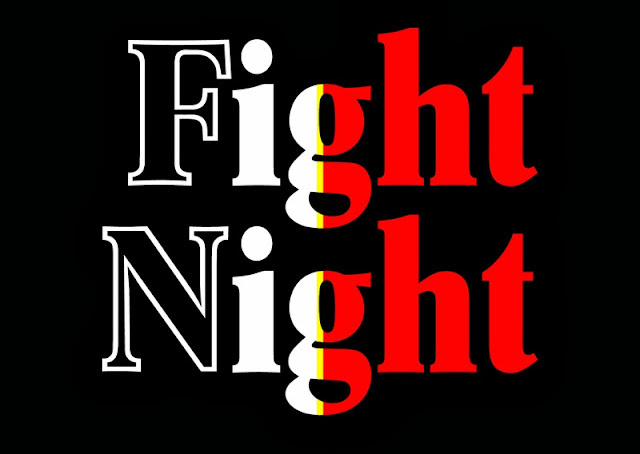 Ultimately, this is what makes Fight Night a show I want to recommend to people; it is cleverly constructed, extremely funny, and a telling insight into the fallibility of contemporary voting systems. For anyone driven mad by televised debates where presentation seems to be rated more highly than anything of substance, this is the show for you. Thanks for the review Kate!It really does get you questioning yourself and voting systems.